Shepherd’s purse (Capsella bursa-pastoris) has rosette leaves with segments that are narrower and more pointed. At the bolting stage, shepherd’s purse has white flowers and a less branched more open habit, up to 30cm tall. 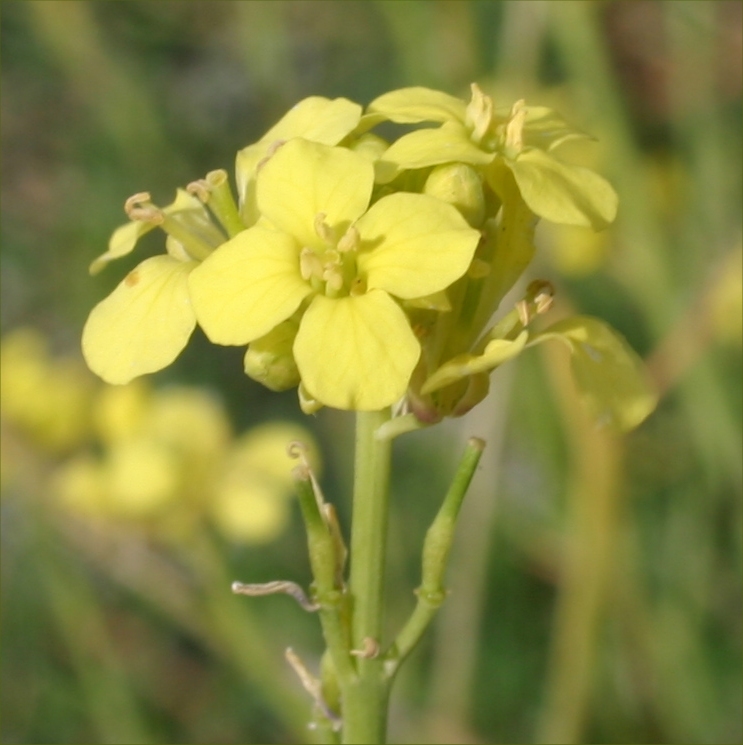 Winter cress (Barbarea intermedia) has shiny rosette leaves with a large terminal lobe. 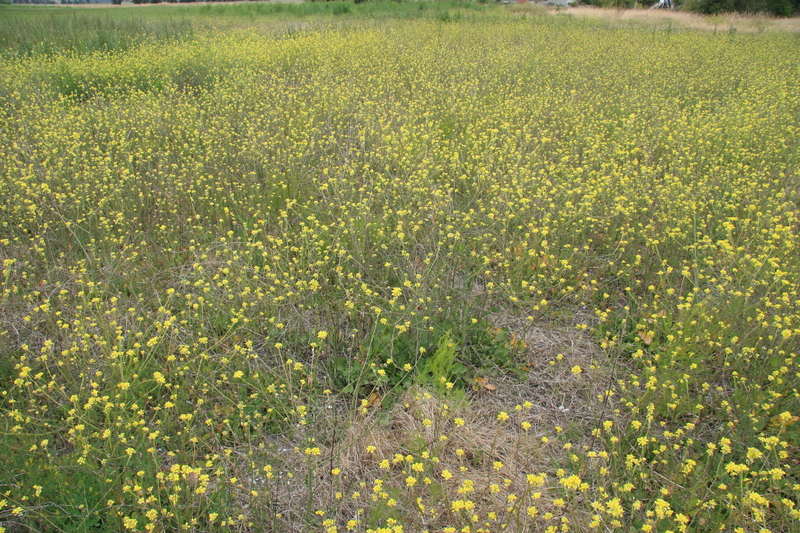 Flowers are bright yellow and twice the size of shepherd’s purse flowers. 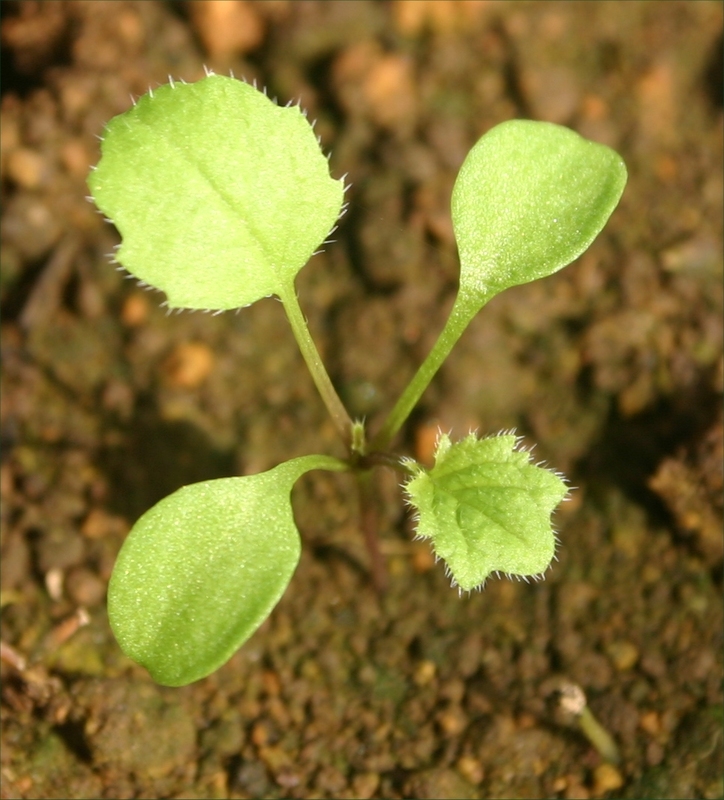 Hedge mustard is native to central and southern Europe, north-west Africa and Asia Minor. 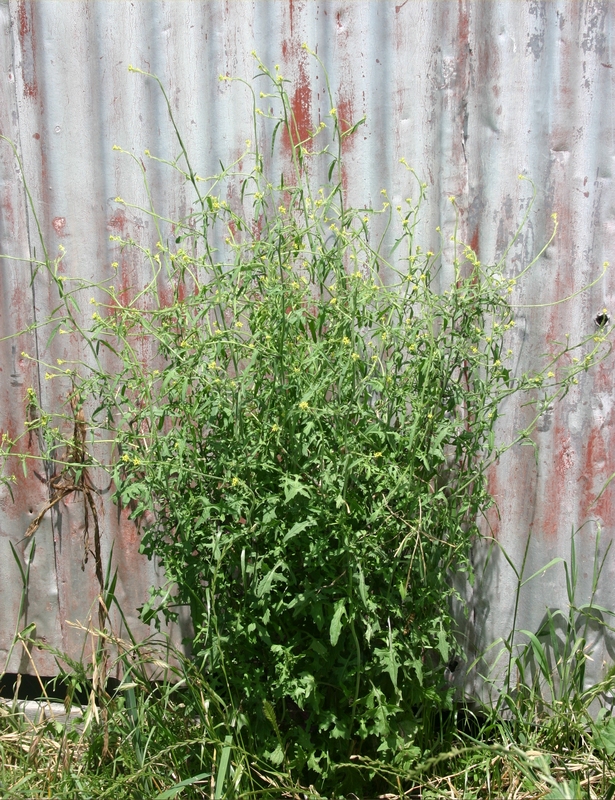 First recorded in New Zealand in 1855, hedge mustard was probably introduced as a seed contaminant with early pasture grasses. It is now found throughout the country including outlying islands. It inhabits pastures, cultivated land, roadsides and gardens. 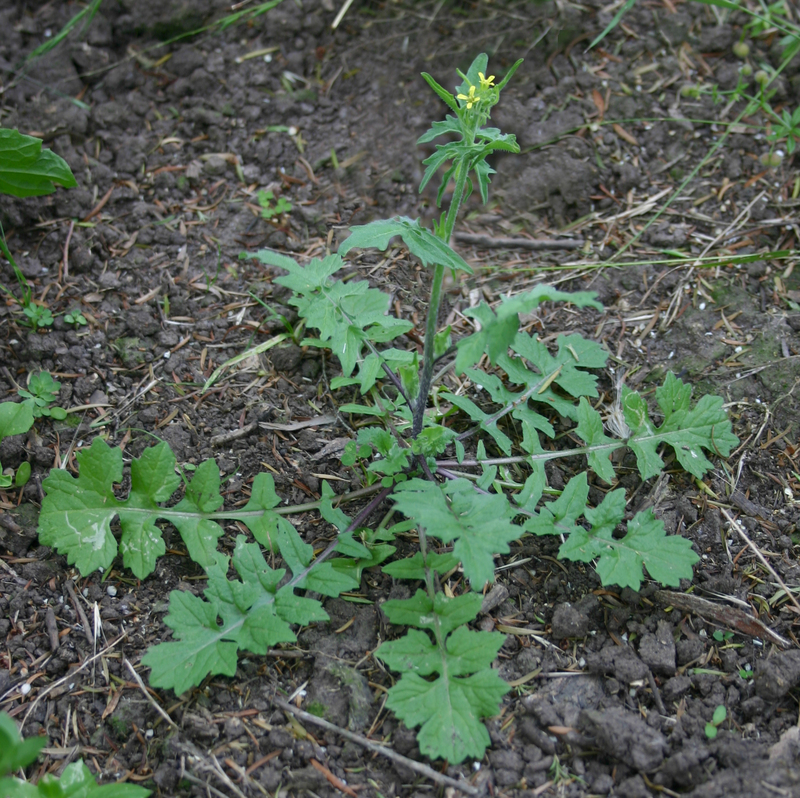 Hedge mustard is mostly an autumn germinating annual that flowers between October and January. Seed are held in pods which don’t open immediately. This aids distribution as the wiry, branched top growth is readily moved around by wind, animals and vehicles with the pods releasing seeds at some later stage. The long, fleshy taproot allows this plant to persist longer in summer dry periods. 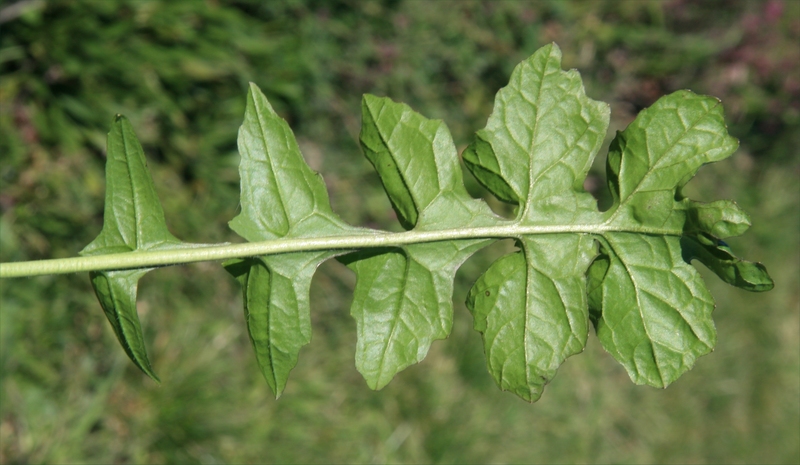 There are few benefits to pasture and hedge mustard plants are usually avoided by stock due to their taste. Infusions of this plant have, in the past, been used by people to cure coughs, wheezing and loss of voice. The Greeks went so far as to believe it was an antidote to all poisons. Hedge mustard is an opportunist plant that grows in pasture gaps caused by treading, dung or dying summer plants. However, there are usually only sporadic plants in good pasture, with this species only found in larger numbers in run-out and poor, dry pastures and is seldom a problem. It can emerge in greater amounts in new pastures and forage crops where it may need to be controlled with herbicides during establishment. 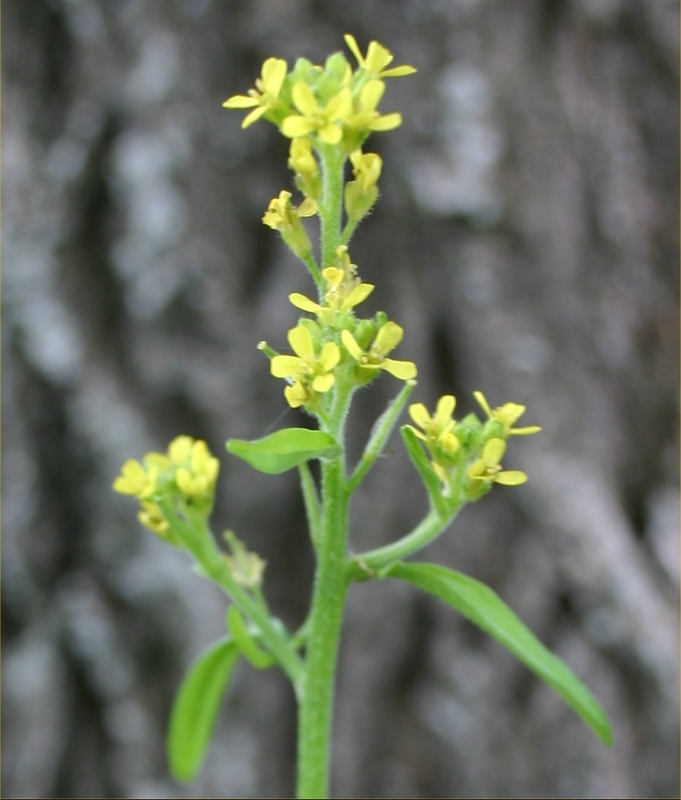 Hedge mustard is not known to be toxic to stock but it is frequently avoided due to its bitter taste. It is suspected of tainting milk. 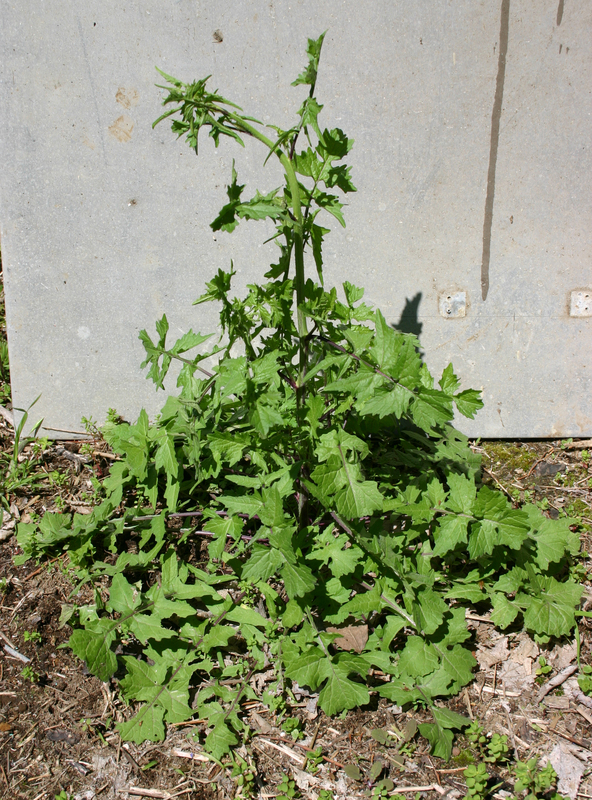 Hedge mustard is frequently only a ‘nuisance’ plants in gardens due to its low numbers and ease of hand removal when young. However, in new crops, it may emerge in larger numbers and require herbicides to control it during establishment. 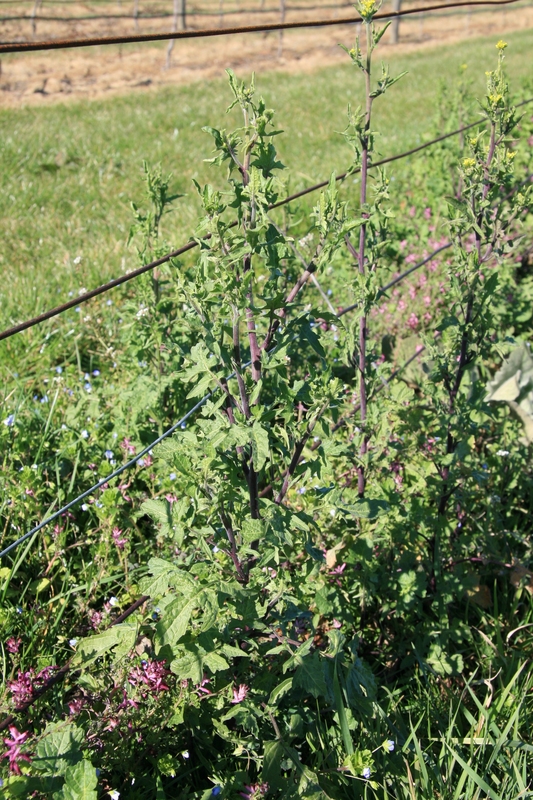 Being a rosette plant, hedge mustard is not a good candidate for managing through grazing. However, maintaining a good strong, uniform pasture will reduce its establishment. 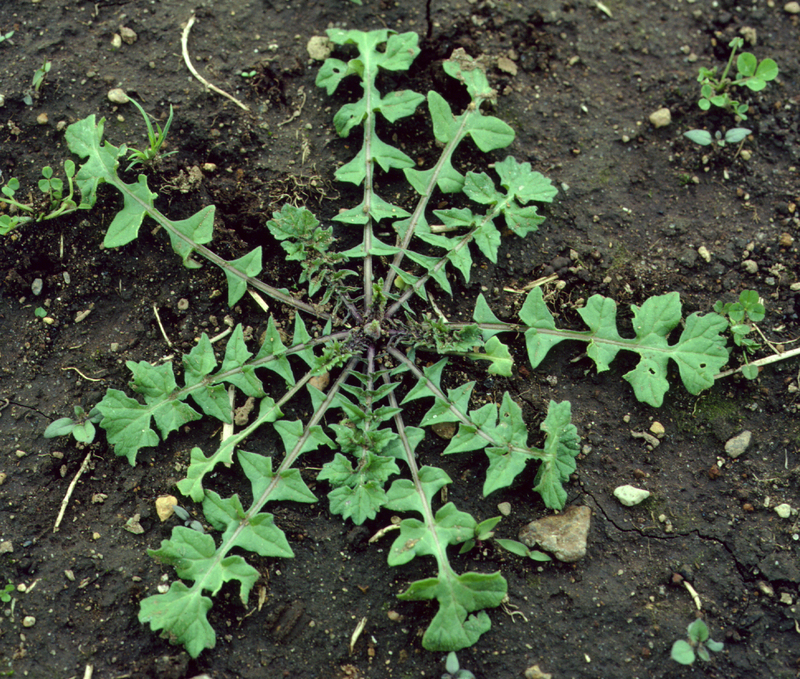 Hedge mustard is susceptible to a range of chemicals and is generally well controlled by common pasture herbicides such as 2,4-D, MCPA, and Dynamo. As small seedlings it can be controlled in new pasture with 2,4-DB, MCPB, flumetsulam and proprietary mixes of bentazone + flumetsulam and bentazone + MCPB. Popay I, Champion P, James, 2010. An Illustrated Guide to Common Weeds of New Zealand. New Zealand Plant Protection Society, Christchurch, New Zealand.